I think this was one of the most interesting DoD Roundtables in which I have participated as I met with Lt General Eric Schoomaker, the Army Surgeon General and Brigadier General Gary Cheek, Commander, Warrior Transition Command to talk about the Warrior Transition care. The care of wounded warriors (physically, spiritually or emotionally) is always a hot button issue for Americans. The super efforts of the Army to care for their own can sometimes fall victim to easy criticism and of course, some care may need attention to make it even better. It appeared that these two leaders wanted to insure that the care being given was right for the individual soldier! I asked General Schoomaker how he measures success in the Warrior Transition care and he said they did three macro level measurements. One – Do I have a system in place that can take care of the soldiers? Facilities, staff, funds, etc.? Two – Do we inspire soldiers to graduate, get better and return when able to their units? Third – Are our alumni successful? He used personal examples of each to highlight that each criteria was being met. The setting of the Warrior Transitions must meet the mental, spiritual, physical needs and future aspirations of the individual soldier. The return to duty rate is about 65% of the soldiers in their care. The 35% who do not return to active duty are usually medically retired or discharged and transferred to the Veterans Administration for care. He highlighted the efforts being made to make this a seamless transition with the VA including case officers at Warrior Transition locations. The Army has also added a retention NCO at each location to ease concerns about the next assignment for those who are returning to units! Did you know that 140 amputees have stayed on active duty and 40 have returned to combat locations with their units! I did not and must say that I was very impressed with this success story. One issue that has been criticized is the use of discipline during the transition. The generals described three types of soldiers in the program. First, the soldier who is inspired to get better, needs rehabilitation and looks for ways to become an alumni of the program. The second type of soldier they identified needed motivation, was not seen as getting better and often did not seem to want to get better and finally, the last group was in the middle of the first two. The last group was a big challenge as they want them to be moved up into the successful alumni group. The discipline for each group type and individual is personal. It is tailored to meet their individual needs, seeks to overcome adversity and provides a support system the soldiers are familiar with in their units. The Warrior Transition leadership must use all techniques to help these wonderful soldiers be successful. One criticism of the discipline was that almost draconian punishment was regularly used which the generals denied. They felt the discipline used was appropriate, individual based and met the needs of the soldiers. Some improvements to the program are in place or being added according to the Roundtable discussion. First, they are refocusing on the soldiers abilities versus disabilities. Additional manpower is being added for physical therapy, social workers to provide support and family support resources. Finding wounds early (psychological in particular) is receiving attention (which helps ease their cure and length of time healing that is required). The Army has family readiness representatives at each location. 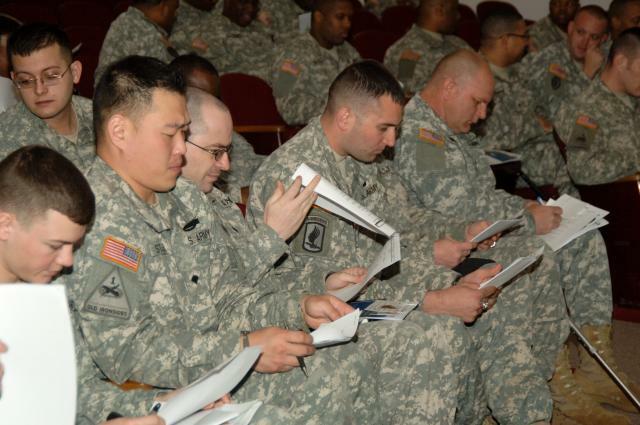 The families are encouraged to participate when able and caregivers such as chaplains and social workers encourage their participation with the soldier’s agreement. They did say that parent participation with adult soldiers can be a challenge. They do have a host of training for families with injured soldiers. This was a hard subject for me to write on because we want the best care humanly possible for our heroes and heroines! Individually driven, great facilities and caregivers, super support - it is the least we can do as a nation, as a service and as a human being. We want these soldiers to be successful! It was with deep regret that I read the New York Times article that severely criticized the care given and made several allegations. I think the Army has responded correctly to this criticism using different media to explain their efforts but we need attention on Warrior Transition programs! Some things to think about: Are our best and brightest assigned to staffs at each Warrior Transition location? Are they promoted for their care and hard work? Is the staff overworked caring for these men and women? Is the communication open and is criticism received and responded to appropriately by leadership at each location? Is the leadership experienced and trained for their roles? 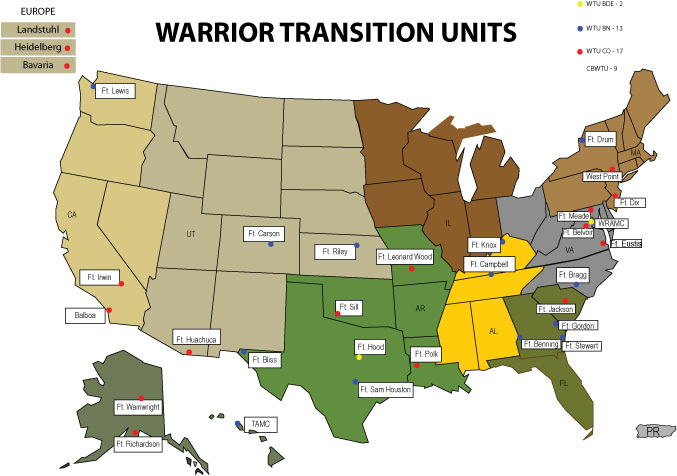 I would be interested to hear from readers who may have experiences with the Warrior Transition program as a Wounded Warrior, family member, staff member, or caregiver. Please comment on the blog so maybe we can help improve some aspect of the program! If you would like to listen to the DoD Bloggers Roundtable or read a written transcript please go to DoDLive! Thank you General Schoomaker and General Cheek for taking your time to answer my questions and those of the Roundtable!